Will Buying Nokia Lead to the Breakup of Microsoft? Last week, Microsoft (MSFT) announced that it is buying Nokia’s (NOK) Devices & Services business for $5 billion, plus another $2.2 billion for licensing rights to many of Nokia’s patents. Given that the two companies are just two years into a strategic partnership, it raises the question: Why is Microsoft choosing to own when it can rent? Here’s one possible answer. Microsoft is buying Nokia as a defensive move. Nokia accounts for nearly 82 percent of Windows Phone smartphone shipments and the purchase pre-empted Nokia partnering with Android or filing for bankruptcy. Microsoft simply can't afford to let the #1 manufacturer of smartphones using its Windows Phone platform add new platforms or fail. Here’s another. Microsoft is buying Nokia’s CEO, Stephen Elop, as Steve Ballmer’s successor. Elop ran Microsoft’s business software division before joining Nokia in 2011 and was the man behind the decision to adopt Windows Phone as the company’s sole smartphone platform. With this acquisition, he will rejoin Microsoft to run its smartphone business. Let’s look at these two possibilities one at a time. For this one, we need a little history. In the summer of 2012, Microsoft unveiled plans for its Surface tablet and Steve Ballmer explained a new company strategy to become a devices and services company – a bold reinvention of the 30-plus year-old software giant. At the time, I had doubts that Microsoft could pull it off. I wrote that the company was about to blow up the ecosystem of partners that Microsoft and Intel (INTC) built together over a 30-year period. Fast forward to July 18, 2013. Microsoft announced its fiscal Q4 earnings missing Wall Street’s top- and bottom-line expectations. The company also announced a $900 million write-down for excess inventory of the consumer version of its tablet, Surface RT. If Microsoft’s track record with Surface is any indication of how it will fare in smartphones, this could be another very tough year. Launching its own tablet put Microsoft in direct competition with its OEM PC hardware manufacturers. Now, getting into the smartphone business pits Microsoft against the other Windows Phone makers, including Samsung, HTC and Huawei. It also reaffirms that Microsoft is still uncomfortable with its existing channel partners – and forces every partner to re-evaluate what role, if any, they can play in smartphones. Then there is the challenge of managing the notoriously difficult smartphone supply chain. Microsoft will have to compete for everything from chips to glass screens with smartphone market leaders Samsung and Apple (AAPL), who will use their size and market position to nail down supply. 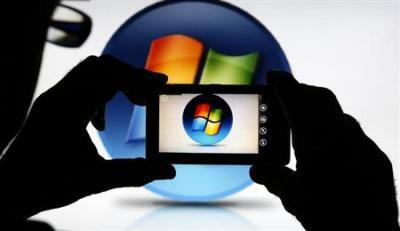 As Microsoft has no doubt learned about tablets, the smartphone business is very different from software and services. Lending credence to this view is that it’s unusual for such a large acquisition to be made with a caretaker CEO – although as reported by Reuter’s, Microsoft approached Nokia’s board last February about an acquisition. Still, Elop’s name was mentioned as a possible successor to Ballmer when his retirement was announced, along with those of several other Microsoft insiders. More interesting names that were floated included Facebook (FB) COO Sheryl Sandberg, AOL (AOL) CEO Tim Armstrong and even Yahoo’s (YHOO) relatively new CEO Marissa Mayer. Any one of them would probably do a good job with Microsoft’s Internet business. But here’s the issue with all of these possibilities: Microsoft has become too big and too complex to be run by just one person. And that was before the Nokia acquisition. Is Microsoft too big to succeed? Microsoft is an old guard tech titan. It is struggling to create a viable second act in the post-PC era with new hardware devices and services in extremely competitive markets. It’s also a company with some very valuable assets tremendously appealing to enterprises. Plus, it has some moderately interesting assets that have yet to prove alluring for consumers. But with so many products in so many lines of business, every morning Microsoft wakes up with an identity crisis. It is competing with just about every tech company you can think of. To complicate matters, some of these competitors are also partners. That’s why I was surprised at the details of Microsoft’s long-awaited reorganization, announced on July 13th. While a shakeup of executives at the top of Microsoft’s business units was expected, less so was the dissolution of those business units into a realignment of the company along functional lines. The rationale given was to improve the company’s chances of executing a single company-wide business strategy. The problem is Microsoft doesn’t have a unified strategy. Instead, it has one strategy for its consumer business and another for its enterprise business – and a lot of partner and channel conflict in the middle. In addition, these two strategies are at different stages of development and delivering different results. For these reasons, I expected the reorganization to go in the opposite direction and draw even sharper boundaries between business units. Such a move would have been an intermediate step to an eventual breakup of Microsoft into at least two separate operating businesses – one focused on consumers and one on enterprises. So unless Microsoft has already decided that Stephen Elop is its new CEO, in my view, Microsoft’s best hope lies in breaking up the company. This would also make it easier to divest its underperforming business units and product lines as some Microsoft competitors have done, mostly notably IBM (IBM). I thought that was the right way for Microsoft to go before the announcement of the Nokia deal. I am even more convinced now. Marty Wolf is president and founder of martinwolf M&A Global Advisors. Marty has been involved in more than 115 IT M&A transactions during the last 16 years.